Special Notice: We are currently re-working these PDFs to improve their functionality. We are converting them all to plain black and which text which should help them load faster and easier. We are also adding a digital index that will be usable on a sidebar within your PDF viewer and the Table of Contents will be linked to all of its headings. This project will take time so check you favorite resources to see if they've been updated! We will ultimately remove this notice once all resources have been updated to reflect these changes. We hope that you enjoy these resources and find them beneficial. We have collected several well known and recommended commentaries. In this collection you will find sets covering the Bible as a whole, the Old and New Testaments respectively, and specific books or portions of the Bible. The commentaries are organized by set, author, or book(s) covered (in the miscellaneous commentary section at the bottom). 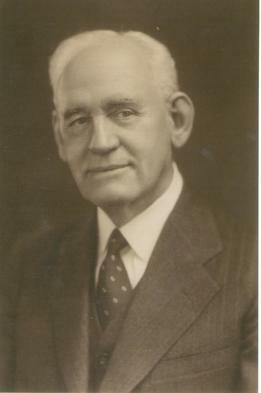 Brother Larimore began preaching soon after he was baptized, and his preaching attracted much attention from the first. His humble manner and pious behavior gave him ready and easy access to the hearts of the people. He walked from Tennessee into North Alabama, where he held his first meeting. One has described him as follows: "On his face there was a settled expression of goodness and melancholy which touched the hearts of the people with a feeling of sympathy and love. There was an indescribable and irresistible pathos in his voice, manner, and general appearance which melted audiences to tears and moved hearts long hardened by sin to repentance at the appeal of the gospel." He preached where an opportunity was given him. He preached in schoolhouses, under brush arbors, and in log cabins. He baptized hundreds of people and established many congregations in the hill country of Alabama in a short time. He was the author of more than a dozen books which have greatly influenced young preachers and members of the church. His book "God's Prophetic Word," is considered a classic in its field and is used as a textbook in colleges and schools of preaching. Among his other books are "The Book of Revelation," "Bulwarks of the Faith," "The Gospel for Today," "The Christian and Government," "The Sermon on the Mount and the Civil State," "The Story of the Norris-­Wallace Debate," "The Neal-Wallace Debate," "Number One Gospel Sermons," "A Review of the New Versions," "The Present Truth," and "The Instrumental Music Question." Below are some of his works. 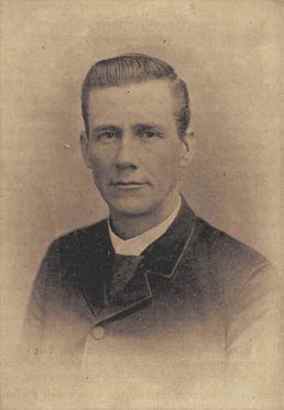 Under the preaching of the lamented James A. Harding, Shepherd obeyed the Gospel on February 1, 1877, and began preaching on June 18, 1882. Shepherd wrote many books. In 1894, he wrote a book entitled "Handbook on Baptism." He is also well-known for his splendid history of the church titled "The Church, the Falling Away, and the Restoration." Brother Whiteside was a very busy man throughout life. 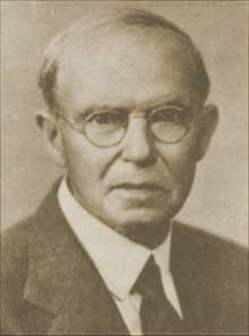 His preaching took him throughout Texas, into New Mexico, Oklahoma, Arkansas, Tennessee, Kentucky, Virginia, West Virginia, Louisiana, Mississippi, Georgia, Alabama, and Florida. All these years he was doing an immense amount of writing and often debating. He lived in a time when The Church had to struggle for every inch gained, and weak preachers simply could not survive. He found time to moderate for Foy E. Wallace, Jr. in all his debates with the pre-millennialists, except the one in California. He once said: "I was born into a fight." He was born soon after the Civil War ended, and much of that strife continued throughout his early life. Religious differences were strong and strict lines were drawn, often with much bitterness. Most Christians of our time cannot conceive of the prejudice and bitterness with which the word "Campbellite" was once freely used, and sometimes still is. Of this and the growth of the New Testament church in the area where he grew up, he once wrote: "In spite of bitter and unreasoning opposition, the number of believers gradually increased. At the age of eighteen I was baptized in Swan Creek by Brown Godwin. I was born into a fight. About a half a mile up the creek was an old Methodist church; beyond that, perhaps a mile and a half, was a Cumberland Presbyterian church; a mile or two beyond that was another Methodist church. Down the other way, less than a quarter of a mile from Salem was a Primitive Baptist church; on a small tributary of Swan was a sort of hybrid Baptist church. About three or four miles down the creek was another Methodist church. It was the farthest away of any of them, but close enough to do some long distance fighting. I think about the time I came on the stage of action, these churches reached their climax of bitterness against us. An old lady said: The Campbellites are worse than the devil. The Bible says, "resist the devil and he will flee from you." "But you resist a Campbellite, and he will flee right at you." "So we had to fight or give up." Below are a few of his works. As we discover new works made available online, we will add them to the post of their respective author. Be sure to check back from time to time if you are interested in a particular work, author, or subject try searching, or contact us. We have experienced difficulties with some of the PDFs not displaying correctly after having been uploaded. If you notice a file that is not working correctly, please let us know so that we can attempt to fix it or remove it.